From what I could tell Arma 2 Operation Arrowhead is a standalone update the Arma 2 and because of this some of the keyboard buttons have changed. 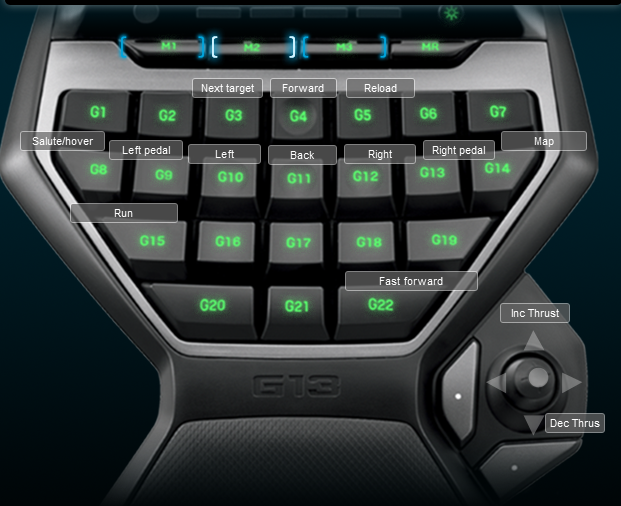 For this reason I created a separate Logitech G13 profile for the game. I haven’t gotten a chance to play the DayZ mod yet, which means I may need a different profile for that game, but I am hoping not. The profile is similar to the Arma 2 profile where I use the M1 for running around and in motorized vehicles and the M2 is for helicopters and jets. The biggest difference seems to be in the way Arma 2 Operation Arrowhead handles prone and crouching compared to Arma 2. It looks like there is one stand button where as in Arma 2 there was a stand from prone and a stand from crouched. 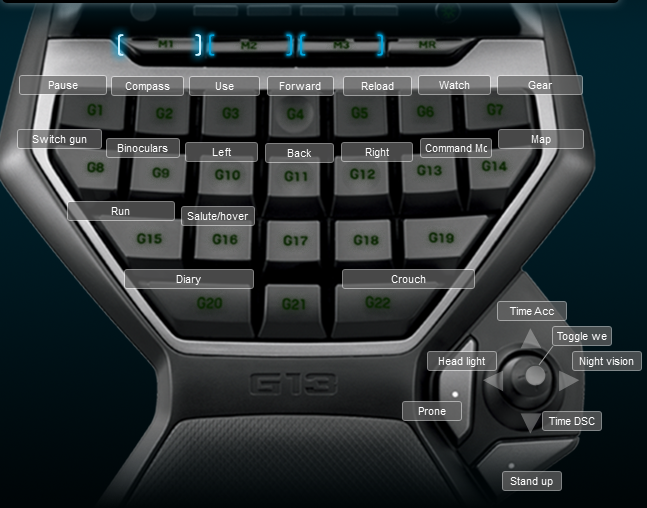 Below is the M1 and M2 keyboard layouts for the profile.